Hey Mike, It might be nice to get everyone up to speed with the history of Disc signals. The approach here does muddle things up a bit. Hall Disc Signals are correctly known as "Enclosed Disc Signals" with the slang term "Banjo" having been applied to all disc signals by all manufacturers. That's why "Hall Disc" was used for type differentiation. They really weren't a combination of "Searchlight and Semaphore." 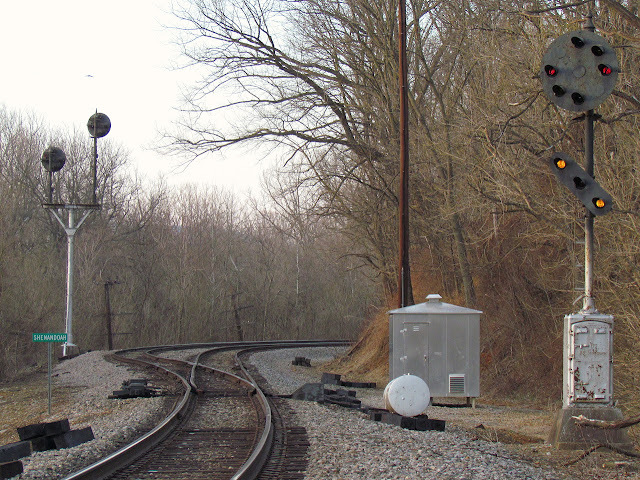 Semaphores have nothing to to with Thomas Hall's 1869 enclosed electric disc signal. 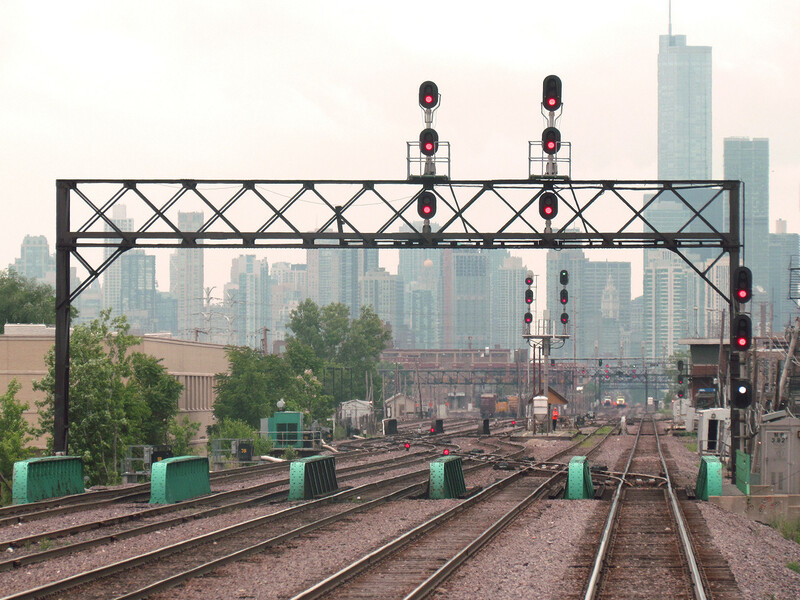 "Semaphore" is from Greek for "A Sign to Bear." Meaning: "I'm holding a sign one way and if I move it to another way, it means something else." A disc signal has a large widow (as well as a kerosene lamp) that changes only color, not position. The breakthrough in that pre-electrical era was Hall's invention of the "Z" armature that permitted a lightweight wire internal structure of a circular cloth banner (the disc) and a balanced, thin colored glass roundel mounted opposite the banner on the "Z" armature. It was moved by the then magical "electromagnetic impetus." Magnetically pulled to the clear it then returned to "danger" by gravity. All this was originally operated by a track-treadle device, the track circuit would be invented some 3 years later. That these have moving parts is about it for similarities with semaphores. There also were "Exposed Disc" signals. Sometimes referred to as "Banjo's" too, but more often as "Rotating Banner" signals, much like a switch lamp and switch stand on steroids. The US&S made Gassett & Fischer patent signal being the most successful. These were wound up just like a grandfather clock with an electromagnet ratchet and pawl set up allowing a 90 degree rotation of the banner and lamp. Remember, reliable low voltage electric motors did not yet exist, I've seen ONE G&F Banner in over fifty years of looking at RR signals, it's in the B&O museum in Baltimore. 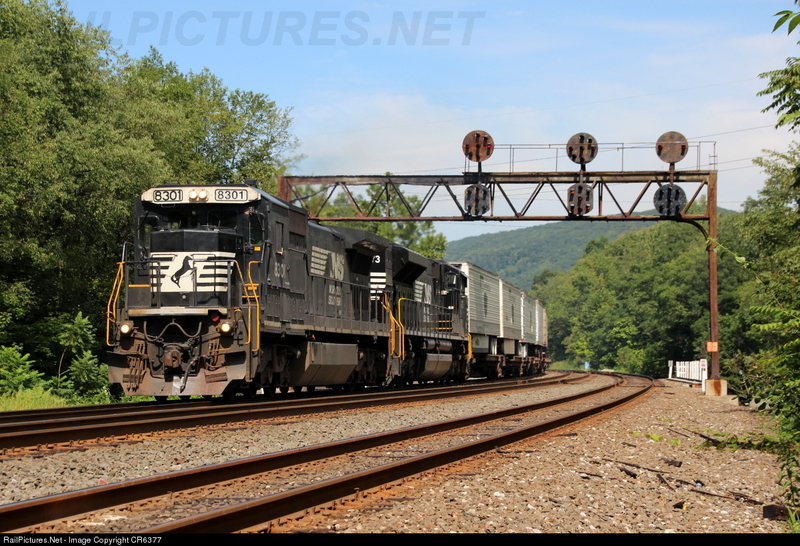 The "other" brand of Enclosed Disc signal was US&S. The earliest were a copy of the Halls with replica wooden cases. But the later versions patented by Union Engineer J.G. Schreuder, first appeared in 1889 were externally innovative and were completely made of iron. These Union Discs could be completely revolved 360 degrees upon the top of the post for the cleaning of the front glass window and other needed maintenance. Only one of these is known to survive. A late version actually had two internal pressed aluminum discs (with the colored glass in the center of each) that as with a semaphore could display either red and green or yellow and green. 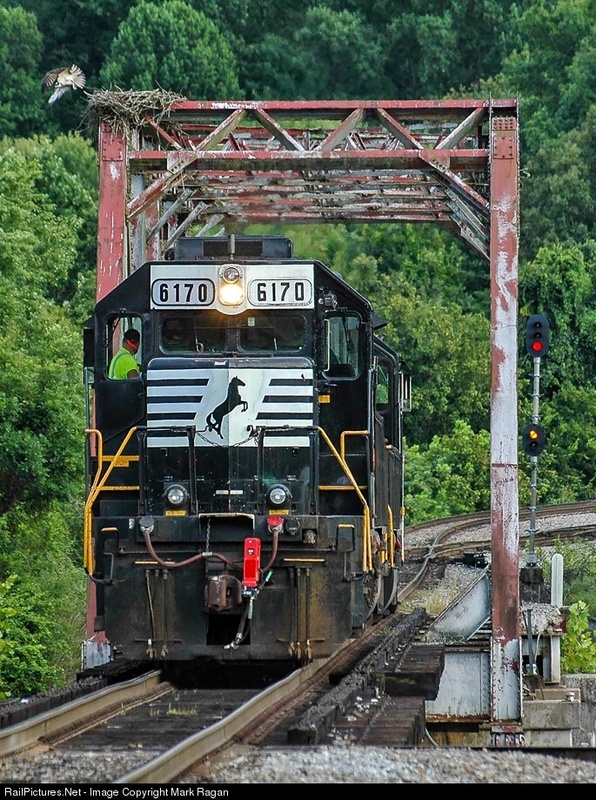 That type was introduced in 1896 some 2 years before the New Haven was the first railroad to have settled on red, yellow and green supplanting the earlier red, green and white night indications just as with today's standard indications. Searchlight signals as you all know are entirely different matter. The standard polarized three position movable vane relay gave an idea to a certain Mr. Blake back during the first World War; 100 YEARS AGO! He realized an elliptical reflector coupled with the prodigious light output of a high-wattage light bulb with Pyrex roundels and a clear optical (magnifying Fresnel) in front of it all could just do the trick -and for 90 years it did. By contrast the Hall Disc simply had a single colored glass roundel swung in front of a kero lamp or not. When the Hall Searchlight signal was introduced in 1920, (Hall bought Blake's patents) old-time hog-heads used to say "They dug up out of the grave the old Hall disc and lighted it up!" Saying the Hall disc was a mix of those two, I don't see a connection to semaphores. The Hall Disc was an "Out-of-the-Box" solution to a very difficult technical problem of that pre-electrical era. P.
Thank you for the thoughtful reply, but I think you applied it to the wrong post. Feel free to re-post under the Banjo signal entry. 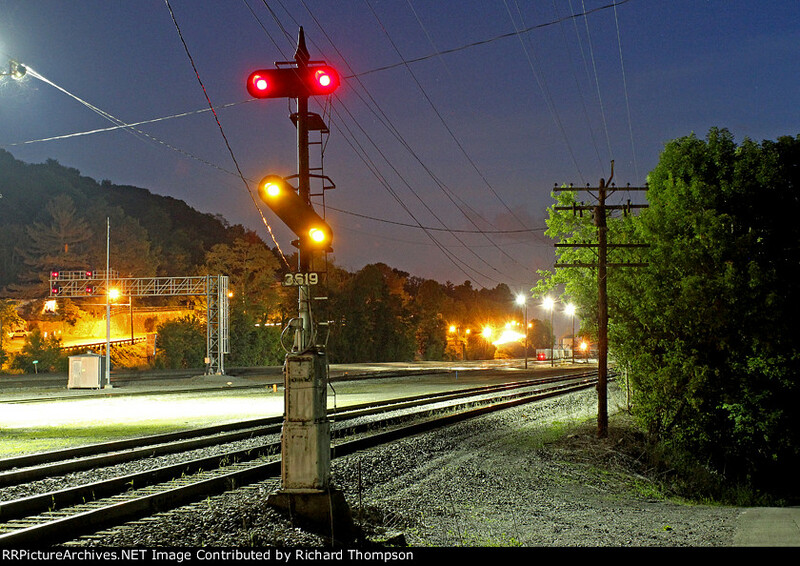 The comparison I was making between disc signals and both searchlights and semaphores comes from how the operating mechanism moves a physical thing the train operator sees, much like a semaphore, but also having a sealed housing with an electro-magnetic armature, much like a searchlight. Sorry about where to put this reply as the mid section of what I actually did post this reply was on "Banjo's" --And my main point being for the Historic Record, they should instead be referred to as "Enclosed Disc Signals." 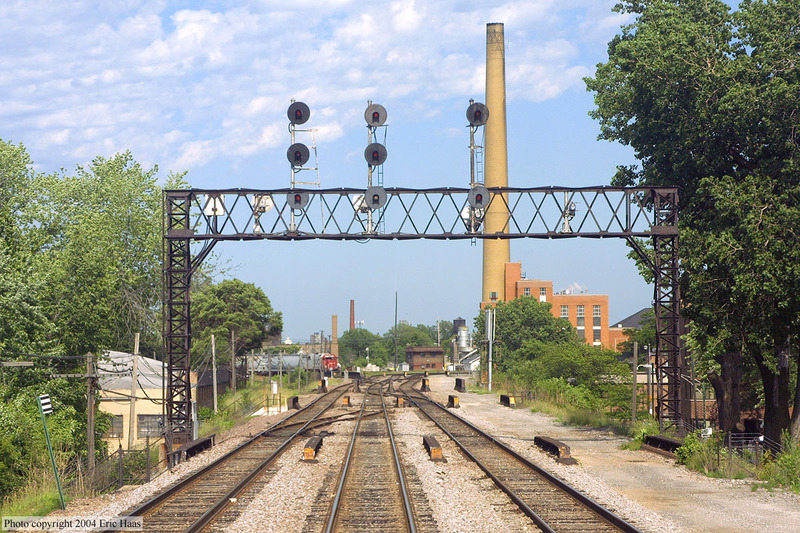 As for your comment on the operating mechanism "being like a semaphore's," Mike they aren't. 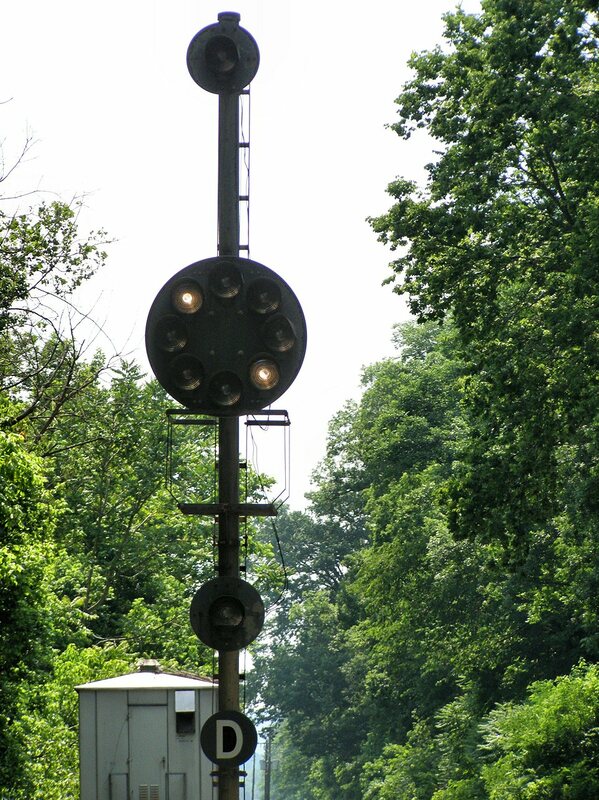 There were some dwarf semaphores operated by large coiled solenoids (mostly subway where the current requirments were readily available) like giant Lionel #151's. But those were nothing like the "Z" armature of the Hall Disc. 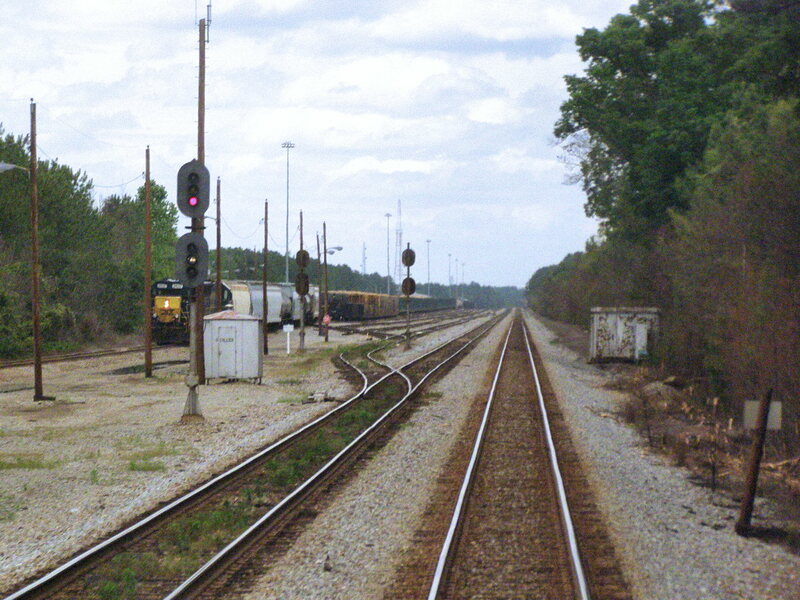 The rest of the semaphores were primary battery driven, low voltage (10v) electric motor driving chains or gear trains with slot arms or holding coils and latches, or electro-pneumatic types, even mechanically operated. But nothing at all resembling the extremely light weight construction of an enclosed disc signal's operating mechanism. The searchlight signal on the other hand does resemble it as I've said. They are like semaphores because the mechanism is moving a large brightly colored target from one position to another. They operate during the day by solar radiation reflecting off a physical thing that the driver then sees.